Most millennials think homeownership is something that’s unattainable at a young age. Twenty-somethings are likely foregoing homeownership for two simple reasons. The first one is they’re staying put until marriage, since they believe that at that point, they’ll have a much better idea of where they want to settle down, what type of career they want to pursue, etc. Another reason is that most millennials tend to prefer a low-maintenance lifestyle – the idea of owning a home simply does not fit this value point. When deciding on a place to buy a home, some of the most important factors to consider are quality of life, job opportunities, proximity to family, and cost of homes in the area. Make sure the area you decide on is a place you’re really willing to live in for the foreseeable future, or about three to five years. If you have low (or no) credit, you may encounter some difficulty when trying to get approved for a mortgage. In case you have zero credit, the best way for you to start building up your credit score is to open a credit card with a small limit, and pay it off every month. But if you have established credit, you can improve your credit score by keeping your balances at 30% or lower, and making sure to pay all balances on time. Know how much you can afford before you start looking for a home. You can do this by getting pre-approved for a mortgage. It’s actually really easy – try using online tools like Bankrate Mortgage Calculator, which allows you to experiment and see how factors can affect your monthly payment, depending on your down payment or interest rate. Getting prequalified can take just a few minutes, and the entire process is usually available online. You can get pre-approved with any lender, the bank with your savings and checking accounts, or certain home lenders. Now that you know how much you can afford for a mortgage, it’s time to think about the down payment. 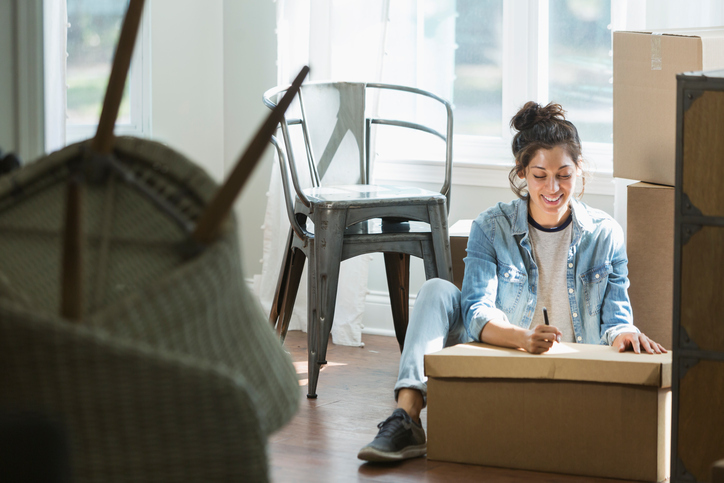 This is when to start saving aggressively – perhaps the most important step to follow if you want to successfully be a homeowner in your 20s. You don’t necessarily need to save about 20% of your paycheck, especially if you’re still paying off your student loans. The best thing you can do is to make it a habit to put aside some of your cash on a consistent basis for six to 12 months before you begin your home search. This will help you save up for a sizable down payment. Need help looking for homes for sale in Chagrin Falls, Bainbridge, Solon, or other desirable communities in Cleveland, Ohio? Talk to me at (440) 823-2448, or send me an email at michellemcquade@howardhanna.com.